This project was done for my Information Visualization project. We needed to find a question and dataset that interested us. 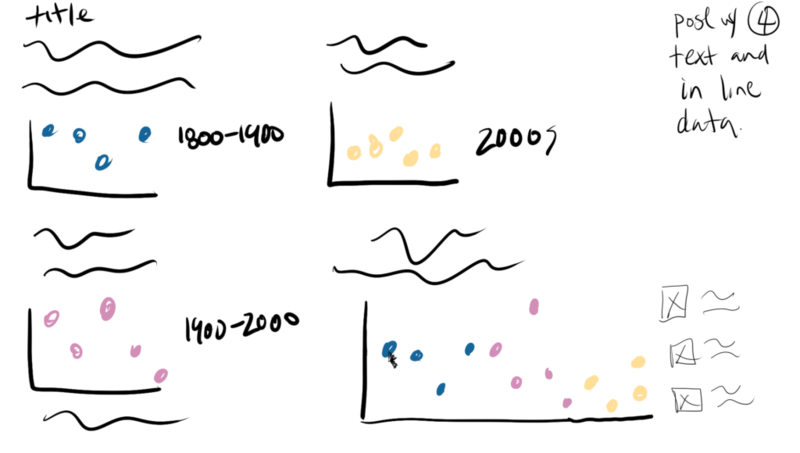 I wanted to see if there was a difference between book difficulty Adult and Youth Adult novels throughout the ages. 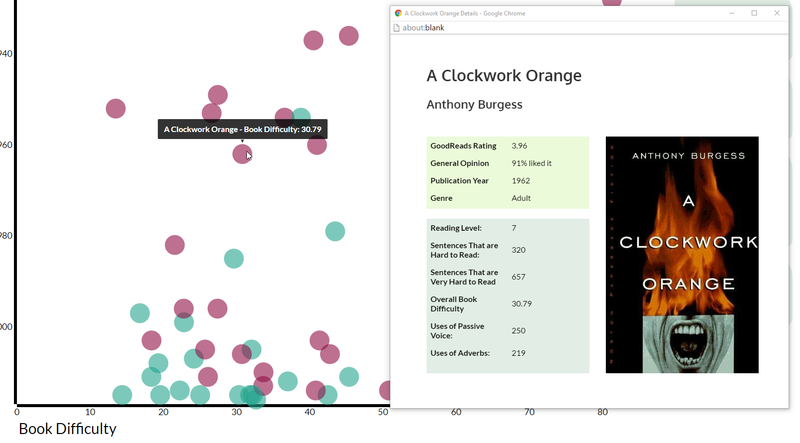 The data was gathered using Goodreads and Hemingway editor. I used ebooks I have already bought as well as ebooks found through Google Books to compile my data from. I got a little fed up with reading a few mind-numbing young adult novels, and wanted to know what made adult novels better. Was it the reading difficulty? Was it the themes the books carried out? How many words did adult novels have per sentence compared to young adult novels? I funneled these questions of mine into one larger problem statement. Are young adult novels easier to read than adult novels? 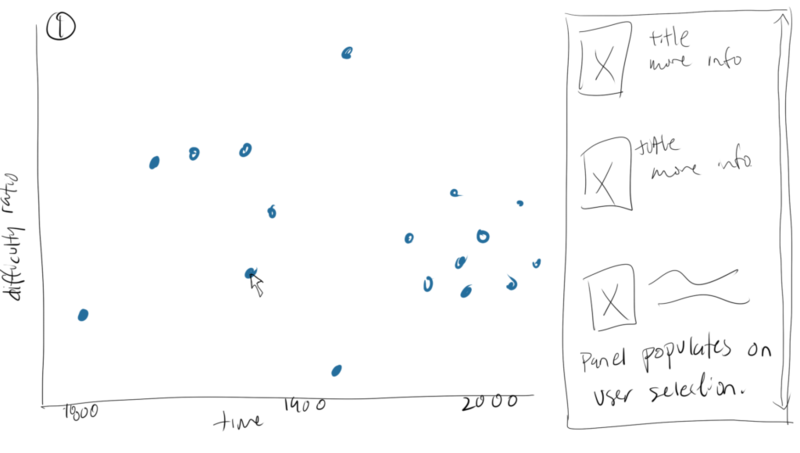 Using data wrangler and tableau, I came up with some initial sketches on how I would like to display my data. 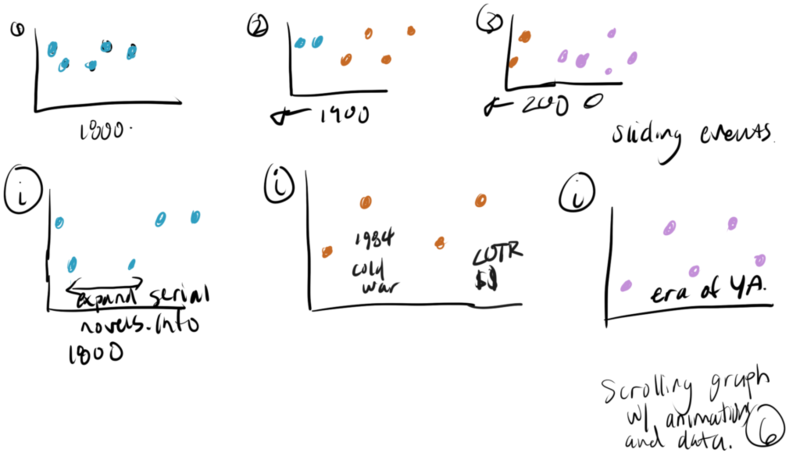 A simple bar chart where the user explores data points. As the user clicks on a data point, more information on the book is displayed. 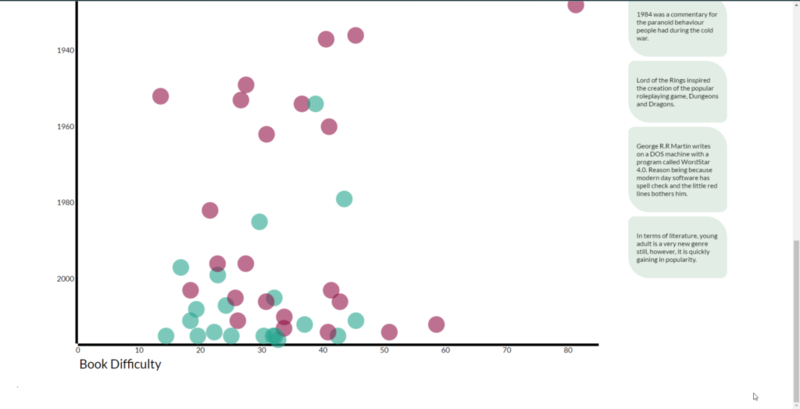 An article based storytelling experience of the data set. 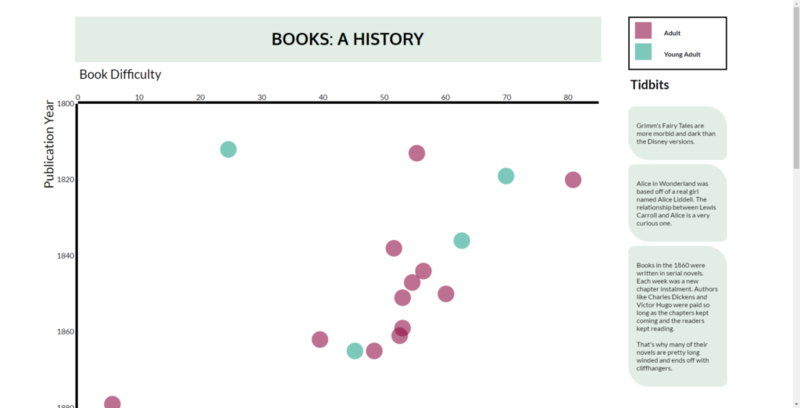 A scrolling experience to tell a story with the data points. 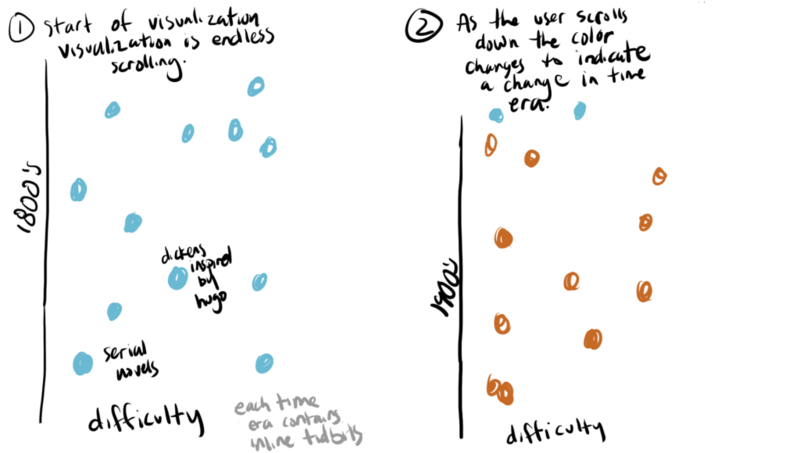 I liked the scrolling experience, so I flipped the graph vertically for a more fluid experience. hover over a data point and you’ll be able to see the title of the novel as well as the book difficulty. 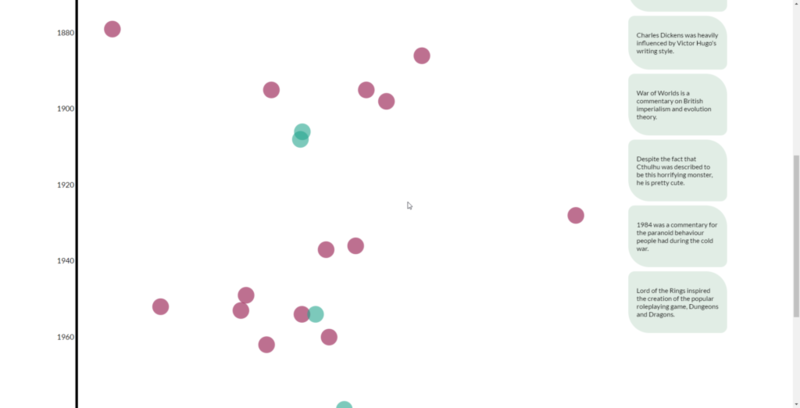 If you wish to try out the visualization, you can find it here on my github. 2016 – Note: I used the CSS3 grid, which has not been supported by most browsers, you must turn on your web experiment flags if you wish to fully experience the interaction. Here’s a guide on how to turn on the experimental flags. Also, the visualization only works in 1080p.